Impress them and make them smile by customizing this savory gourmet wine and cheese basket with their favorite wine! Choose from a wonderful assortment of red, white, sparkling wines or champagnes to accompany this fine selection of gourmet cheeses, crackers, and snacks. Offered in this beautiful dark stained, handled gift basket, it is perfect way to celebrate any occasion. 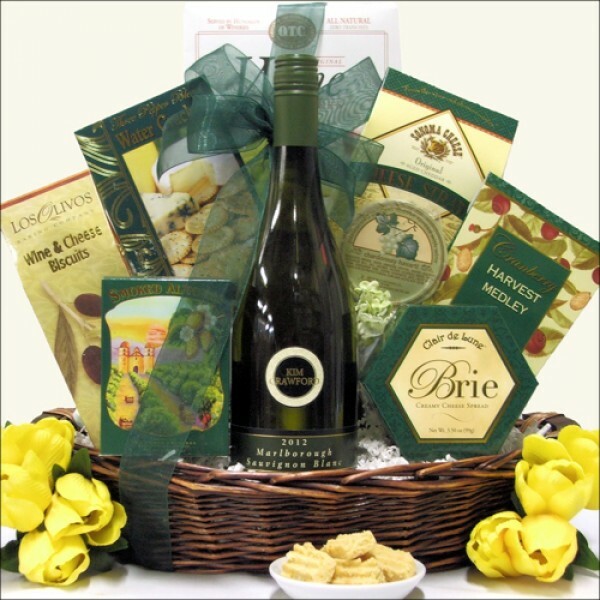 **Basket image will not change with wine selection - but be assured your basket will have the wine you choose!